"Many folks on TSA, they were missing a day's worth of pay from their paycheck," he says. "But they continued to work, make sure we were safe, make sure we got through long lines in airports." "I think both sides need to put down the swords, and actually talk through solutions," Hurd says. "There's a lack of trust between both sides, which is preventing us coming to a final solution." "There's 50,000 people [with] TPS status in Houston alone, involved in construction, and guess what? We're still rebuilding Houston after Hurricane Harvey," Hurd says. Hurd says the USA Act, which he and California Democrat Pete Aguilar introduced in early 2018, is the only bipartisan bill that "solves border security and DACA." He says the bill addresses root causes of unauthorized immigration. "When it comes to DACA, 1.2 million young men and women who've only known the United States of America as their home … are already contributing to our economy. And, oh, by the way: at 3.8 percent unemployment in the United States of America, guess what we need? We need workers," Hurd says. "But ultimately, Congress [is] a coequal branch of government, and it should operate that way," he says. "And if we come to an agreement, and it's something the president doesn't like, he has the opportunity to veto that." Hurd also breaks with the president and others in his party when it comes to the definition and composition of a border wall. 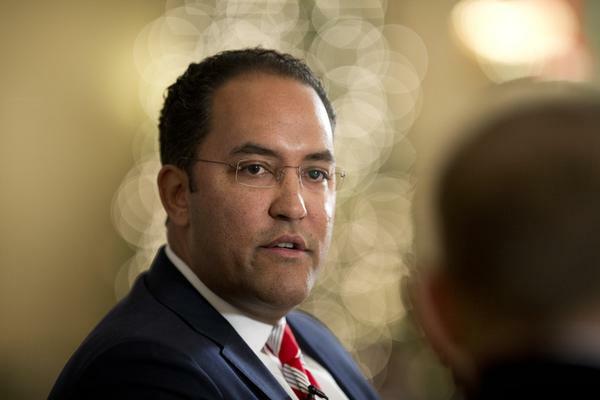 Hurd favors what he calls a "smart wall," based more on technological solutions than on concrete barriers, though he points out that there's already a solid barrier along 600 miles of the U.S.-Mexico border. "We need to be thinking about all 2,000 miles of border at the same time," Hurd says. "It's myopic to think that every inch or every mile of the border is the same." But border security is important, he says. Both illegal drugs and unauthorized immigrants continue to cross the into the U.S., and the Border Patrol isn't always able to respond to incidents right away. Hurd says there's another problem with building a wall on some parts of the border: "In the great state of Texas, we care about a little thing called private-property rights," Hurd says. "Just in my district alone, some of the plans DHS has would cede $1.1 million of arable land … to Mexico. That's crazy." Hurd says he believes the final deal on border security will be a combination of a financial compromise that includes some of the president's demands and some of what Democrats have offered, along with a solution to DACA and some movement on TPS.